Matti Pitkänen wrote in his blog some interesting comment: Ring hexamers bring in mind the crucial role of aromatic cycles in TGD inspired model of DNA as topological quantum computer which leads also to a model of ADP→ ATP transition involving reconnection of magnetic flux tubes and having also information theoretic interpretation as a change of the topology of the braid structure defining topological quantum computer program. Magnetic flux tubes carrying dark electrons begin from these and can end up to other biomolecules or water. Just a guess: could they end on ring hexamers? Earlier I had read about ring hexamers giving rise to a magnetic field. Ring hexamers are carbon rings. And they can give rise to coronenes with a self-organizing capacity, supramolecules, chrystals and nanotubules in artificial conditions. Also fullerenes and nanotubules give rise to fluorescent fields, perhaps also magnetic, as I heard from a scientist in Umeå, Sweden. Hexamers are very common in nature. The bees use it in their hives. Giant's Causeway has volcanic basalt columns forming stepping stones that lead from the cliff foot and disappear under the sea. Most of the columns are hexagonal in form. Then I remembered that some receptors have six proteine parts or helices, as acuaporines and gap junctions. Ordered in a ring structure like a hexamer. And the receptors are ordered in clusters, topologically arranged often. The neurons can even distinguish between left side of body and right side. The neurons/receptors are asymmetric. Ligand-gated channels are generally named after the ligand that gates them. These may be extracellular, as in the case of the neurotransmitters acetylcholine and glycine, or intracellular such as cyclic AMP, Ca2+, and ATP. Binding of the ligand to one or more specific sites on the channel protein produce a conformational change that allosterically opens the ion pore, but sometimes close it. At the resting potential of the cell, most voltage-gated channels are closed. When the membrane potential is changed, however. the channel undergoes a series of conformational changes that result in the opening of the channel pore. Also hyperpolarized gating exists. more of a wide range of substances. These include monovalent and divalent cations (such as H- and Ca2-), metabolites such as ATP and MgADP, fatty acids, phosphorylation, GTP-binding proteins, and even gases (such as oxygen). The voltage dependence of activation is shifted to more negative membrane potentials in the presence of intracellular Ca2+. Sometimes the distinction between a channel modulator and the principal ligand seems merely semantic. Many hormones and neurotransmitters mediate their effects on ion channels indirectly by the activation of some second messenger system that modulates ion channel activity. One of the best understood regions of cytoplasm is that associated with the cluster of chemotactic receptors in the plasma membrane of E. coli. Bacterial chemotaxis involves a phospho-relay system. This signaling complex transmits information from outside into the cell in the form of a phosphorylation signal that regulates flagellar rotation. The receptors are believed to exist in thermal equilibrium between two or more conformational states, and the output of the complex, usually measured in terms of phosphorylation levels is related to this equilibrium. The complex produces an amplified output proportional to the rate of change of attractant concentration. The eukaryotic cell exhibits compartmentalization of functions to various membrane-bound organelles and to specific domains within each membrane. An atomic level structure for a lattice of serine (Tsr) receptors are proposed. A unique feature of this model is that it creates a small compartment between the plasma membrane and an extended hexagonal lattice of the signaling proteins CheA and CheW. The compartment is not closed, and should be freely accessible to cytoplasmic proteins diffusing in from the lateral borders or through 10 nm diameter pores in the hexagonal lattice. This minute volume of bacterial cytoplasm will be highly enriched in two diffusible proteins = two enzymes that control the methylation of chemotactic receptors at sites in the middle of the receptor tails and have also been shown to carry binding sites for the C-termini of the receptor tails. It seems reasonable to suppose that they will accumulate in the small compartment because of this binding, and that their elevated concentrations in that privileged volume will facilitate the methylation and demethylation reactions. The dynamics of the situation lead to the spontaneous emergence of order in the receptor lattice, such that receptors with 4 methyl groups (fully methylated) and receptors with 0 methyl groups (fully unmethylated) tend to lie next to each other in the array. The spontaneous emergence of order within a stochastically fluctuating field of allosteric proteins is an intriguing and potentially important phenomenon. By assigning different values of coupling energy to these different protein interactions and then examining the consequences for an array with the geometry of the receptor lattice the simulation model will be better. This is fantastic. Sounds very TGD:ic in my ears. And reflexologic with all those geometric topologies. The remarkable sensitivity and range of response of bacterial chemotaxis might depend on the clustering of chemotactic receptors on the surface of the bacterium. When a ligand bound to a receptor, the change in activity might propagate to neighbouring receptors in a cluster. Activity was spread by energetic exchanges between proteins in a two-dimensional lattice could be likened to the interactions of magnetic dipoles in a spin glass, resulting in digital receptors, also affected of the state of neighbours, "coupling energy". Snapshot of an array of receptors showing a spread of activity. 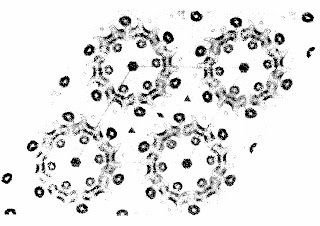 The receptors are portrayed as hexagons in an instantaneous snapshot showing their conformation as being either inactive (white) or active (orange).Bray et.al.1998. 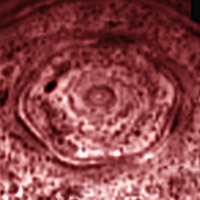 Projected density map showing six-folded symmetry, rat Cx43 (Asgcroft 2000). See the neighbouring cells that are very sensitive to electric and magnetic changes. 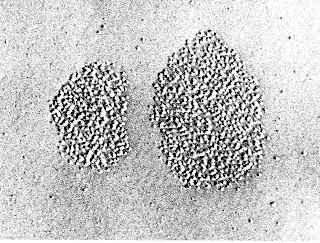 These cells are modulators (eg. their peptides). It is assumed usually that the lipid membrane acts as an anchor for the proteins and has no independent function. However, membranes contain hundreds of different lipids (depicted in different colors in Fig.) which are different with respect to their physical properties (for example charge and size). One may wonder why nature has put so much effort into creating all these lipids if there is no functional purpose linked to their diversity. It is (for instance) known that bacteria change their lipid composition in response to changes in environmental conditions (e.g. different temperature of growth). Why is that, asks Heimburg? Experiments and theoretical studies on model membranes, however, lead to the conclusion that the "fluid mosaic"-model requires major revision. Modified version of the famous picture of the plasma membrane (Singer and Nicolson, 1972). Lipids (shown in different colors) are not uniformly distributed all over the membrane, but form domains of varying composition. Integral and peripheral proteins are depicted in green. An important observation in a Monte-Carlo simulation (increasing temp.) is the formation of domains made of groups of gel or fluid lipids. Gel is in patches. If proteins bind to a membrane with lipid domains, these proteins will be unevenly distributed on the membrane and the local protein concentration on the membrane surface may be quite variable. Membranes become soft and flexible in the transition regime. Wave genome and phantom DNA? Matti Pitkänen write: "Gariaev and collaborators have introduced the notion of wave genome requiring the coding of DNA sequences to temporal patterns of coherent em fields forming a bio-hologram representing geometric information about the organism. Code could mean that nucleotide is represented by a characteristic rotation angle for the polarization plane of linearly polarized laser radiation scattering from it. This kind rotation is known to be induced by chromosomes. Gariaev had photographs produced by the scattering of ordinary light on DNA, showing amazing "memory". In TGD framework these photographs could be interpreted as photographs of wormhole magnetic flux tubes containing dark matter." The ability of this kind of light to induce gene expression in another organisms provided the modulated polarization pattern corresponds to an "address" characterizing the organism, and the formation of images of what is believed to be DNA sample itself and of the objects of environment by DNA sample in a cell irradiated by ordinary light in UV-IR range. This means that it works all ways, from within the cell reflekted out, or from outside reflected inside? A truly reflexologic picture. What is even nastier is that in this way we can show how the DNA influences the cell membranes. And suddenly all those magnetic flux tubes and braidings makes sense. Even the magnetic body doesn't sound so peculiar. Biology is really quantum biology? As Matti said once "The guy was rightafter all?" I can see how the chromosomes induces magnetic flux tubes, that are fastened to the receptors tails. And also to receptors on other membranes. By that neighbour-effect is then patches built on the membrane. That is phase-transitions, regulating the activity of the domain by inducing a gel. The signal reaching the membrane can be magnetic, electric or chemical (ionic) with hexamers as a vey important part. In fact life is about carbon, and carbon is about organic chemistry. In quantum physics there are the holy trinity, and a hierarchy of that forms hexamers. Perhaps Matti he himself will explain these things in more detail to us when he has time for it. We are waiting for that impatiently. What has all this in common with the Saturn pole? It is ice, or water. More about that later. Acshcroft 2000: Ion channels and disease. Pitkänen, M. 2008: Has dark matter at the magnetic flux tubes been photographed? http://matpitka.blogspot.com/2008/05/has-dark-matter-at-magnetic-flux-tubes.html.